Advertising Dissertation Topics – Advertising is an interesting and an interactive area of study that is closely associated to the field of marketing. Each year, brands spend vast amounts of money on research and development to find out the characteristic of their target audience and then trying to capitalize on that using cutting edge advertising techniques in order to beat the competition. With this in mind, when you have chosen your advertising dissertation topic you will begin to learn much more about products, consumers, marketing strategy and a wide variety of advertising media. There are other advertising and marketing concepts that may influence the design and content of your advertising dissertation topic. Try to do as much investigative work at the beginning of your dissertation, don’t change your advertising dissertation topic part way through your dissertation as this will prove problematic, you have time constraints when writing your dissertation and this will set you back. Advertising has evolved so much and it has not stood still. It is safe to say that many advertising strategies used decades ago would not suit today’s fast moving ecommerce driven environments. Modern advertising requirements have seen the introduction of graphic design and media design agencies. Be mindful that advertising has a wide range of research fields that touches all walks of life around the world. An advantage of writing your own advertising dissertation topic is that you have to follow the conventional rules of advertisement and this will unearth many questions. Why have adverts and advertising techniques changed so much over the past three decades? Why are advertising campaigns from previous eras not as effective as current advertising techniques? 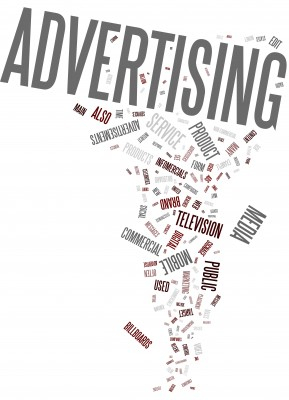 Today’s advertising world has been influenced by social changes, globalization, technology, political and cultural developments, it may be worthwhile incorporating these questions into your own advertising dissertation topic. What is required from an outstanding advertising dissertation topic? Your dissertation needs to be refreshing, on topic, fluid and needs to engage the reader. Don’t deviate away from your chosen advertising dissertation topic. Keep on track, be concise when needed and ensure you adopted the correct structure for your advertising dissertation. What areas can you assess when writing your advertising dissertation topic? Online marketing and the internet is an interesting area to look into. The internet has transformed advertising and it is an important and wide-reaching tool that has become an effective marketing tool for companies around the world. Basing your advertising dissertation topic in this field does have its advantages as there will be copious amounts of research available to you. There is every chance that the available research is up to date and current. It is safe to say that the internet has become the foremost selling tool for businesses, regardless of business size, industry and location. Advertising on the internet is a task that can have a profound impact on a business if deployed correctly and on the other hand advertising can be costly if not performed correctly. There are many examples of failed advertising campaigns for you to investigate along with success stories. The effectiveness of advertising strategy would make an ideal advertising dissertation topic to investigate. If you decide to investigate this field it is advisable to examine the aspects of online advertising in depth in order to form a robust advertising dissertation topic. There will be existing advertising dissertation topics for you to critique and this will give you a valuable insight into what is needed to write an outstanding advertising dissertation. Take inspiration from advertising dissertations written by successful university students this is a fundamental principle of our website. Social media is used heavily in the modern advertising world. It is rare for any business to launch an advertising campaign without the use of social media. Social media is used as an interactive toolset to communicate with an audience. You may wish to base your advertising dissertation topic on this field of study. Examining how social media interactive tools such as Twitter, Facebook, LinkedIn, Google+ and blog comments contribute to the outcome of an advertising campaign. Social signals are an important factor of online advertising strategy. Is print media still relevant? Graphic designers who specialise in physical and print media advertising state that these techniques are still relevant to modern advertising. There is still demand for magazines, novelty items, vehicle design and billboards. Even though the internet has affected the print media industry there is still a demand for this advertising medium. It may be worth basing your advertising dissertation topic on this subject area. Explore why print media advertising campaigns resemble internet advert design – is this to offer an internet-like visual experience? I’m sure writing an advertising dissertation topic in this area will prove divisive and engaging for the reader. Below is a list of advertising dissertation topics for you to assess. I do hope you take inspiration from these advertising dissertation topics in an attempt to kick start your own dissertation. Please be mindful that the below advertising dissertation topics have been submitted to universities and are offered as a guide for reference purposes. I do hope you found this article helpful and you are now in a position to write your own outstanding advertising dissertation topic. Please feel free to leave a comment below and I will endeavor to respond to any questions you have.